Laureates have won the Nobel Prize in a wide range of fields that relate to physiology or medicine. As of 2009, 8 Prizes have been awarded for contributions in the field of signal transduction by G proteins and second messengers, 13 have been awarded for contributions in the field of neurobiology and 13 have been awarded for contributions in intermediary metabolism. In 1939 Gerhard Domagk, a German, was not allowed by his government to accept the prize. He later received a medal and diploma, but not the money. As of 2018, the prize has been awarded to 216 individuals, twelve of them were women: Gerty Cori (1947), Rosalyn Yalow (1977), Barbara McClintock (1983), Rita Levi-Montalcini (1986), Gertrude B. Elion (1988), Christiane Nüsslein-Volhard (1995), Linda B. Buck (2004), Françoise Barré-Sinoussi (2008), Elizabeth H. Blackburn (2009), Carol W. Greider (2009), May-Britt Moser (2014)  and Tu Youyou (2015). There have been nine years in which the Nobel Prize in Physiology or Medicine was not awarded (1915–1918, 1921, 1925, 1940–1942). Prof Magnus GustafRetzius FRSFor HFRSE MSA was a Swedish physician and anatomist who dedicated a large part of his life to researching the histology of the sense organs and nervous system. The Nobel Assembly at the Karolinska Institute is a body at Karolinska Institute which awards the Nobel Prize in Physiology or Medicine. It is headquartered in the Nobel Forum on the grounds of the Karolinska Institute campus. Originally the Nobel Assembly was not a formal body but rather the collective of all professors at Karolinska Institute. In 1977 the Nobel Assembly became a separate private organization hosted by Karolinska Institute. Until 1984 all Karolinska Institute professors belonged to the Assembly; from 1984 the membership is restricted to 50 Karolinska Institute professors. ↑ "Alfred Nobel–The Man Behind the Nobel Prize". Nobel Foundation. Retrieved 21 November 2008. ↑ "The Nobel Prize Awarders". Nobel Foundation. Retrieved 21 November 2008. 1 2 3 Lindsten, Jan; Nils Ringertz (26 June 2001). "The Nobel Prize in Physiology or Medicine, 1901–2000*". Nobel Foundation. Retrieved 21 November 2008. ↑ "The Nobel Prize". Nobel Foundation. Retrieved 21 November 2008. ↑ "The Nobel Prize Award Ceremonies". Nobel Foundation. Archived from the original on 22 August 2008. Retrieved 21 November 2008. ↑ "Nobel Laureates Facts". Nobelprize.org. Archived from the original on 2 February 2007. Retrieved 21 November 2008. ↑ "Women Nobel Laureates". Nobel Foundation. Retrieved 21 November 2008. ↑ "The Nobel Prize in Physiology or Medicine 1901". Nobel Foundation. Retrieved 28 July 2007. ↑ "The Nobel Prize in Physiology or Medicine 1902". Nobel Foundation. Retrieved 28 July 2007. ↑ "The Nobel Prize in Physiology or Medicine 1903". Nobel Foundation. Retrieved 28 July 2007. ↑ "The Nobel Prize in Physiology or Medicine 1904". Nobel Foundation. Retrieved 28 July 2007. ↑ "The Nobel Prize in Physiology or Medicine 1905". Nobel Foundation. Retrieved 28 July 2007. ↑ "The Nobel Prize in Physiology or Medicine 1906". Nobel Foundation. Retrieved 28 July 2007. ↑ "The Nobel Prize in Physiology or Medicine 1907". Nobel Foundation. Retrieved 28 July 2007. ↑ "The Nobel Prize in Physiology or Medicine 1908". Nobel Foundation. Retrieved 28 July 2007. ↑ "The Nobel Prize in Physiology or Medicine 1909". Nobel Foundation. Retrieved 28 July 2007. ↑ "The Nobel Prize in Physiology or Medicine 1910". Nobel Foundation. Retrieved 28 July 2007. ↑ "The Nobel Prize in Physiology or Medicine 1911". Nobel Foundation. Retrieved 28 July 2007. ↑ "The Nobel Prize in Physiology or Medicine 1912". Nobel Foundation. Retrieved 28 July 2007. ↑ "The Nobel Prize in Physiology or Medicine 1913". Nobel Foundation. Retrieved 28 July 2007. ↑ "The Nobel Prize in Physiology or Medicine 1914". Nobel Foundation. Retrieved 28 July 2007. ↑ "The Nobel Prize in Physiology or Medicine 1919". Nobel Foundation. Retrieved 28 July 2007. ↑ "The Nobel Prize in Physiology or Medicine 1920". Nobel Foundation. Retrieved 28 July 2007. 1 2 "The Nobel Prize in Physiology or Medicine 1922". Nobel Foundation. Retrieved 28 July 2007. ↑ "The Nobel Prize in Physiology or Medicine 1923". Nobel Foundation. Retrieved 28 July 2007. ↑ "The Nobel Prize in Physiology or Medicine 1924". Nobel Foundation. Retrieved 28 July 2007. ↑ "The Nobel Prize in Physiology or Medicine 1926". Nobel Foundation. Retrieved 28 July 2007. ↑ "The Nobel Prize in Physiology or Medicine 1927". Nobel Foundation. Retrieved 28 July 2007. ↑ "The Nobel Prize in Physiology or Medicine 1928". Nobel Foundation. Retrieved 28 July 2007. 1 2 "The Nobel Prize in Physiology or Medicine 1929". Nobel Foundation. Retrieved 28 July 2007. ↑ "The Nobel Prize in Physiology or Medicine 1930". Nobel Foundation. Retrieved 28 July 2007. ↑ "The Nobel Prize in Physiology or Medicine 1931". Nobel Foundation. Retrieved 28 July 2007. ↑ "The Nobel Prize in Physiology or Medicine 1932". Nobel Foundation. Retrieved 28 July 2007. ↑ "The Nobel Prize in Physiology or Medicine 1933". Nobel Foundation. Retrieved 28 July 2007. ↑ "The Nobel Prize in Physiology or Medicine 1934". Nobel Foundation. Retrieved 28 July 2007. ↑ "The Nobel Prize in Physiology or Medicine 1935". Nobel Foundation. Retrieved 28 July 2007. ↑ "The Nobel Prize in Physiology or Medicine 1936". Nobel Foundation. Retrieved 28 July 2007. ↑ "The Nobel Prize in Physiology or Medicine 1937". Nobel Foundation. Retrieved 28 July 2007. ↑ "The Nobel Prize in Physiology or Medicine 1938". Nobel Foundation. Retrieved 28 July 2007. ↑ "The Nobel Prize in Physiology or Medicine 1939". Nobel Foundation. Retrieved 28 July 2007. 1 2 "The Nobel Prize in Physiology or Medicine 1943". Nobel Foundation. Retrieved 28 July 2007. ↑ "The Nobel Prize in Physiology or Medicine 1944". Nobel Foundation. Retrieved 28 July 2007. ↑ "The Nobel Prize in Physiology or Medicine 1945". Nobel Foundation. Retrieved 28 July 2007. ↑ "The Nobel Prize in Physiology or Medicine 1946". Nobel Foundation. Retrieved 28 July 2007. 1 2 "The Nobel Prize in Physiology or Medicine 1947". Nobel Foundation. Retrieved 28 July 2007. ↑ "The Nobel Prize in Physiology or Medicine 1948". Nobel Foundation. Retrieved 28 July 2007. 1 2 "The Nobel Prize in Physiology or Medicine 1949". Nobel Foundation. Retrieved 28 July 2007. ↑ "The Nobel Prize in Physiology or Medicine 1950". Nobel Foundation. Retrieved 28 July 2007. ↑ "The Nobel Prize in Physiology or Medicine 1951". Nobel Foundation. Retrieved 28 July 2007. ↑ "The Nobel Prize in Physiology or Medicine 1952". Nobel Foundation. Retrieved 28 July 2007. 1 2 "The Nobel Prize in Physiology or Medicine 1953". Nobel Foundation. Retrieved 28 July 2007. ↑ "The Nobel Prize in Physiology or Medicine 1954". Nobel Foundation. Retrieved 28 July 2007. ↑ "The Nobel Prize in Physiology or Medicine 1955". Nobel Foundation. Retrieved 28 July 2007. ↑ "The Nobel Prize in Physiology or Medicine 1956". Nobel Foundation. Retrieved 28 July 2007. ↑ "The Nobel Prize in Physiology or Medicine 1957". Nobel Foundation. Retrieved 28 July 2007. 1 2 "The Nobel Prize in Physiology or Medicine 1958". Nobel Foundation. Retrieved 28 July 2007. ↑ "The Nobel Prize in Physiology or Medicine 1959". Nobel Foundation. Retrieved 28 July 2007. ↑ "The Nobel Prize in Physiology or Medicine 1960". Nobel Foundation. Retrieved 28 July 2007. ↑ "The Nobel Prize in Physiology or Medicine 1961". Nobel Foundation. Retrieved 28 July 2007. ↑ "The Nobel Prize in Physiology or Medicine 1962". Nobel Foundation. Retrieved 28 July 2007. ↑ "The Nobel Prize in Physiology or Medicine 1963". Nobel Foundation. Retrieved 28 July 2007. ↑ "The Nobel Prize in Physiology or Medicine 1964". Nobel Foundation. Retrieved 28 July 2007. ↑ "The Nobel Prize in Physiology or Medicine 1965". Nobel Foundation. Retrieved 28 July 2007. 1 2 "The Nobel Prize in Physiology or Medicine 1966". Nobel Foundation. Retrieved 28 July 2007. ↑ "The Nobel Prize in Physiology or Medicine 1967". Nobel Foundation. Retrieved 28 July 2007. ↑ "The Nobel Prize in Physiology or Medicine 1968". Nobel Foundation. Retrieved 28 July 2007. ↑ "The Nobel Prize in Physiology or Medicine 1969". Nobel Foundation. Retrieved 28 July 2007. ↑ "The Nobel Prize in Physiology or Medicine 1970". Nobel Foundation. Retrieved 28 July 2007. ↑ "The Nobel Prize in Physiology or Medicine 1971". Nobel Foundation. Retrieved 28 July 2007. ↑ "The Nobel Prize in Physiology or Medicine 1972". Nobel Foundation. Retrieved 28 July 2007. ↑ "The Nobel Prize in Physiology or Medicine 1974". Nobel Foundation. Retrieved 28 July 2007. ↑ "The Nobel Prize in Physiology or Medicine 1975". Nobel Foundation. Retrieved 28 July 2007. ↑ "The Nobel Prize in Physiology or Medicine 1976". Nobel Foundation. Retrieved 28 July 2007. 1 2 "The Nobel Prize in Physiology or Medicine 1977". Nobel Foundation. Retrieved 28 July 2007. ↑ "The Nobel Prize in Physiology or Medicine 1978". Nobel Foundation. Retrieved 28 July 2007. ↑ "The Nobel Prize in Physiology or Medicine 1979". Nobel Foundation. Retrieved 28 July 2007. ↑ "The Nobel Prize in Physiology or Medicine 1980". Nobel Foundation. Retrieved 28 July 2007. 1 2 "The Nobel Prize in Physiology or Medicine 1981". Nobel Foundation. Retrieved 28 July 2007. ↑ "The Nobel Prize in Physiology or Medicine 1982". Nobel Foundation. Retrieved 28 July 2007. ↑ "The Nobel Prize in Physiology or Medicine 1983". Nobel Foundation. Retrieved 28 July 2007. ↑ "The Nobel Prize in Physiology or Medicine 1984". Nobel Foundation. Retrieved 28 July 2007. ↑ "The Nobel Prize in Physiology or Medicine 1985". Nobel Foundation. Retrieved 28 July 2007. ↑ "The Nobel Prize in Physiology or Medicine 1986". Nobel Foundation. Retrieved 28 July 2007. ↑ "The Nobel Prize in Physiology or Medicine 1987". Nobel Foundation. Retrieved 28 July 2007. ↑ "The Nobel Prize in Physiology or Medicine 1988". Nobel Foundation. Retrieved 28 July 2007. ↑ "The Nobel Prize in Physiology or Medicine 1989". Nobel Foundation. Retrieved 28 July 2007. ↑ "The Nobel Prize in Physiology or Medicine 1990". Nobel Foundation. Retrieved 28 July 2007. ↑ "The Nobel Prize in Physiology or Medicine 1991". Nobel Foundation. Retrieved 28 July 2007. ↑ "The Nobel Prize in Physiology or Medicine 1992". Nobel Foundation. Retrieved 28 July 2007. ↑ "The Nobel Prize in Physiology or Medicine 1993". Nobel Foundation. Retrieved 28 July 2007. ↑ "The Nobel Prize in Physiology or Medicine 1994". Nobel Foundation. Retrieved 28 July 2007. ↑ "The Nobel Prize in Physiology or Medicine 1995". Nobel Foundation. Retrieved 28 July 2007. ↑ "The Nobel Prize in Physiology or Medicine 1996". Nobel Foundation. Retrieved 28 July 2007. ↑ "The Nobel Prize in Physiology or Medicine 1997". Nobel Foundation. Retrieved 28 July 2007. ↑ "The Nobel Prize in Physiology or Medicine 1998". Nobel Foundation. Retrieved 28 July 2007. ↑ "The Nobel Prize in Physiology or Medicine 1999". Nobel Foundation. Retrieved 28 July 2007. ↑ "The Nobel Prize in Physiology or Medicine 2000". Nobel Foundation. Retrieved 28 July 2007. ↑ "The Nobel Prize in Physiology or Medicine 2001". Nobel Foundation. Retrieved 28 July 2007. ↑ "The Nobel Prize in Physiology or Medicine 2002". Nobel Foundation. Retrieved 28 July 2007. ↑ "The Nobel Prize in Physiology or Medicine 2003". Nobel Foundation. Retrieved 28 July 2007. ↑ "The Nobel Prize in Physiology or Medicine 2004". Nobel Foundation. Retrieved 28 July 2007. ↑ "The Nobel Prize in Physiology or Medicine 2005". Nobel Foundation. Retrieved 28 July 2007. ↑ "The Nobel Prize in Physiology or Medicine 2006". Nobel Foundation. Retrieved 28 July 2007. ↑ "The Nobel Prize in Physiology or Medicine 2007". Nobel Foundation. Retrieved 28 July 2007. 1 2 "The Nobel Prize in Physiology or Medicine 2008". Nobel Foundation. Retrieved 28 July 2007. ↑ "The Nobel Prize in Physiology or Medicine 2009". Nobel Foundation. Retrieved 28 July 2007. ↑ "The Nobel Prize in Physiology or Medicine 2010". Nobel Foundation. Retrieved 28 July 2007. 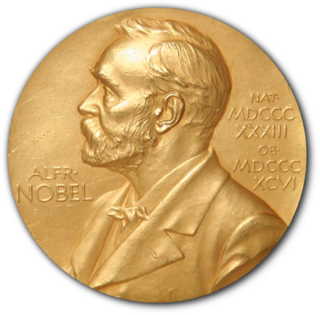 1 2 "The Nobel Prize in Physiology or Medicine 2011". Nobel Foundation. Retrieved 28 July 2007. ↑ "Ralph Steinman Remains Nobel Laureate". The Nobel Foundation. 3 October 2011. Retrieved 6 October 2013. ↑ Sample, Ian (3 October 2011). "Nobel prize to be awarded to dead scientist". The Guardian . London. Retrieved 10 October 2011. The Nobel foundation concluded that the award should stand, saying: "The Nobel prize to Ralph Steinman was made in good faith, based on the assumption that the Nobel laureate was alive." ↑ "The Nobel Prize in Physiology or Medicine 2012". Nobel Foundation. Retrieved 28 July 2007. ↑ "The Nobel Prize in Physiology or Medicine 2013". Nobel Foundation. Retrieved 7 October 2013. ↑ "The Nobel Prize in Physiology or Medicine 2014". Nobel Foundation. Retrieved 7 October 2013. 1 2 "The Nobel Prize in Physiology or Medicine 2015". Nobel Foundation. Retrieved 5 October 2015. ↑ "The Nobel Prize in Physiology or Medicine 2016". Nobel Foundation. Retrieved 3 October 2016. ↑ "The Nobel Prize in Physiology or Medicine 2017". Nobel Foundation. Retrieved 2 October 2017. ↑ "The Nobel Prize in Physiology or Medicine 2018". Nobel Foundation. Retrieved 2 October 2017. "Nobel Prize winners by category (physiology or medicine)". Encyclopædia Britannica . Retrieved 15 October 2008. 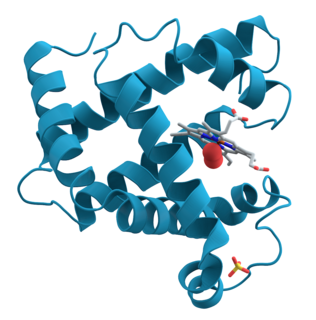 Wikimedia Commons has media related to Nobel laureates in Physiology or Medicine .